This is both mine and Sam’s first ever competition so we have decided to join forces and offer a surprise beauty bundle consisting of full size and smaller products. For every 200 entries we receive, we will post a picture of some of the prizes you can win. Then a week before, we will show the beauty bundle as a whole. The competition will end on 31st October and winner announced shortly after. So firstly, how you can earn those entries. Follow using Google Friend Connect (GFC) leaving your name on both of our blogs. Click the below link to take you to the giveaway. The winner will be chosen at random from all entrants. Any duplicate entries or fraudulent entries will be deleted. The winner’s name will be revealed on this widget and I will also tweet about it on Twitter and also post about it on Facebook. The winner will be contacted via an e-mail provided and if the winner does not respond to our request for a postal address within 28 days, a redraw will take place. Competition is open to residents of the UK and Ireland only. The prize is non-refundable and cannot be transferred. The testing time blog and the 40 something beauty blogger’s decision is final. The prize will be sent by myself second class recorded delivery within 28 days after the competition end date. 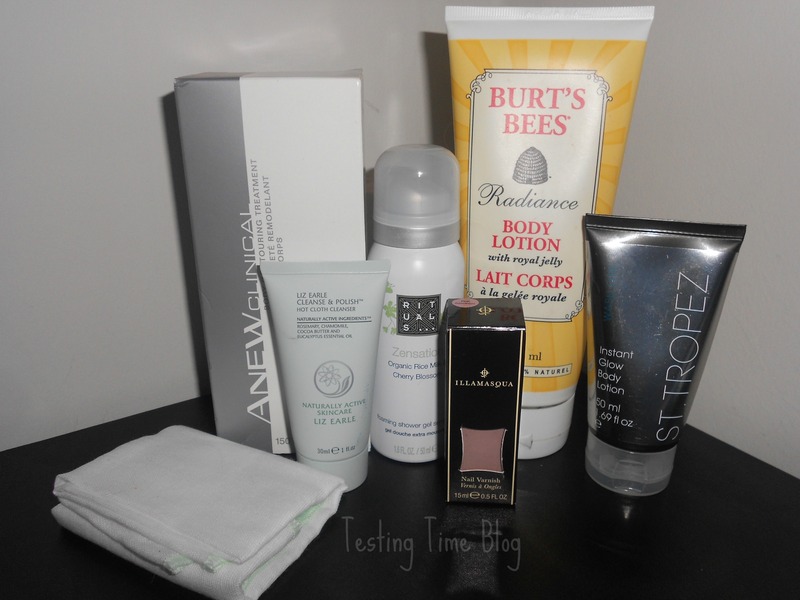 This entry was posted in Health and Beauty on September 20, 2014 by the40somethingbeautyblogger. I swear by Jane Iredale’s Circle Delete..it’s FAB! !